Cream puff connoisseurs Croquant Chou Zakuzaku are getting in on the Halloween season fun this year by releasing two tasty treats. The Kuro Zaku and Kuro Zaku Soft will be available from October 1 to October 31. The Kuro Zaku is an almond crunch croquant filled with a cream that’s made with black cocoa powder. Inside that is a purple sweet potato cream that’s made with 1:1 custard cream and purple sweet potato paste. 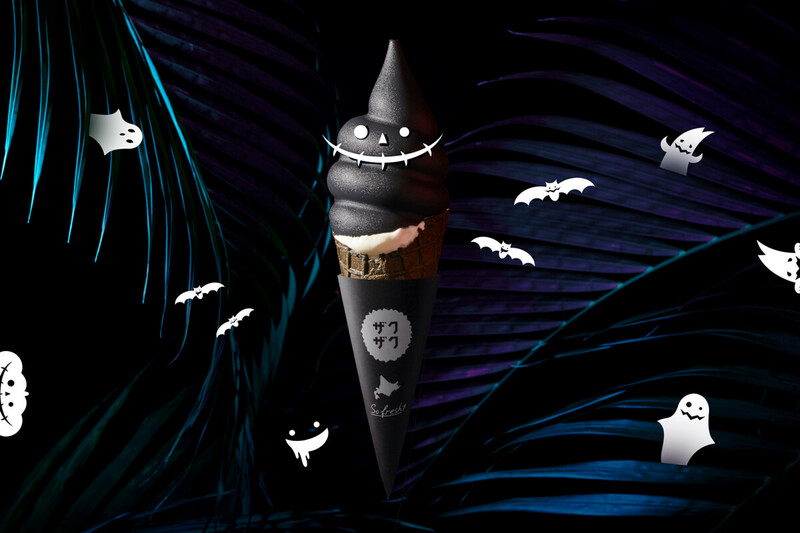 The paste is made in Japan and its purple colour gives the dessert that Halloween look. 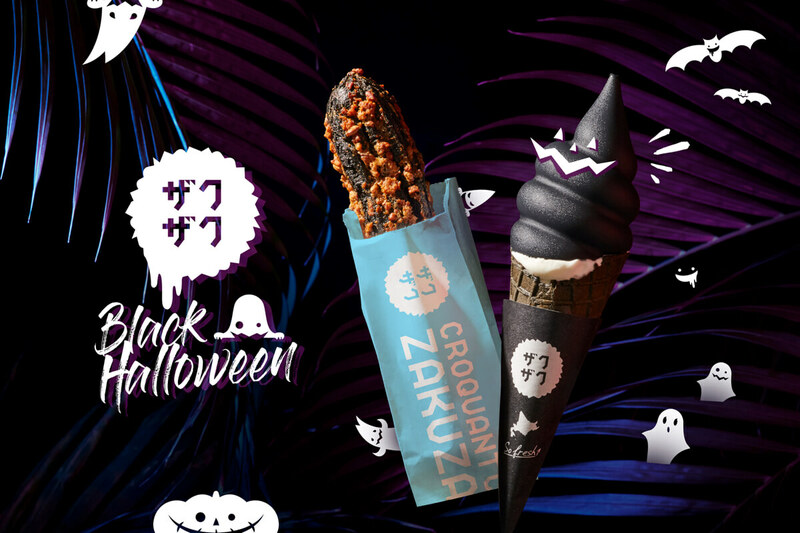 The Kuro Zaku Soft is an ice cream that’s completely black – including the cone. The rich soft serve ice cream melts like fresh cream and includes a white chocolate dip made with bamboo charcoal powder. Customers who order either of these desserts will take them selves a Halloween face paint seal too. The shop is designed like a factory so you can eat everything freshly made. 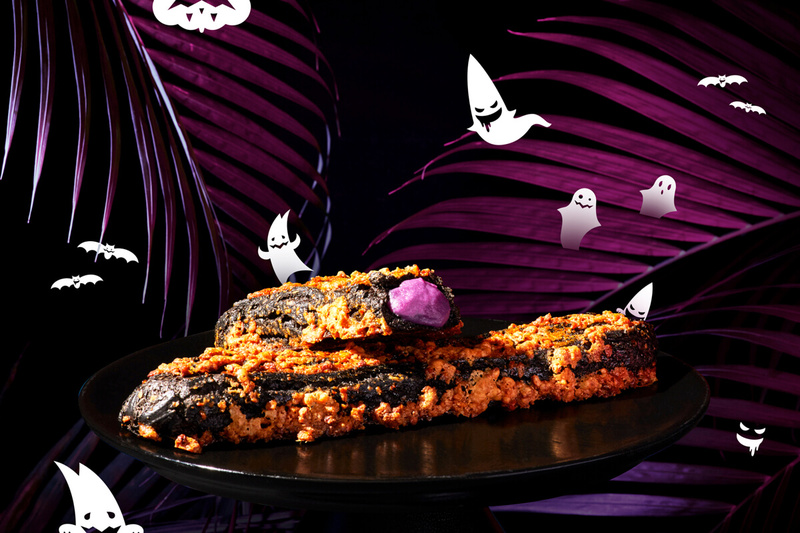 Try their delicious products for yourself this Halloween.